192 houses of Meghalaya’s Umthli Village have a compost bin in their backyard and every day the kitchen/wet waste goes into composting which is later turned into manure. 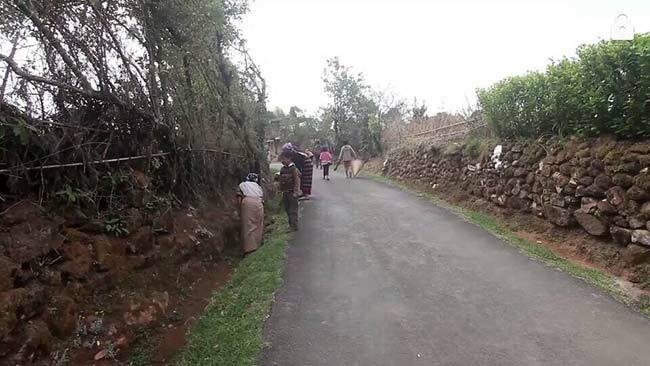 As many villages and cities across India are gearing up to make Swachh Bharat Abhiyan a mass movement, an increased public participation is underway in Umthli village in East Khasi Hills, Meghalaya. It is a perfect example of community involvement and showing everyone how it doesn’t require any civic workers to help keep the place clean. Taking the message of Swachhta seriously, this village has completely got itself rid of liquid waste and the problem of litter within a period of 4-5 months. All thanks to an unwritten law according to which, it is mandatory for atleast one member from every family to participate in the weekly cleaning activity organised by the heads of the village. On every Saturday, an alarm of Swachhta goes off at 7 am. As the alarm rings, residents of Umthli village come out of their respective houses armed with brooms and other cleaning equipments and launch a battle against the unclean environment. Since there was no other agency which looked after village’s litter problem, villagers took upon the onus of making the village litter free, Evarinia Warjri, Block Development Officer, Khatarshnong Laitkroh told NDTV. The team of ‘Village Durbar’ has taken the responsibility of monitoring the cleanliness drives. Every week, they sit together and chalk out a plan and assign activities to people. It is only because of the active involvement of the Durbar team which has been instrumental in mobilising people in keeping the village so clean, said Ms Warjri. Everyone from children, women, men and older population enthusiastically participate in the weekly cleaning drive. All the roads, footpaths, parks and public places are swept by the residents. After months of this exercise, now the cleaning process doesn’t take more than an hour to cover the entire village as the most of it remains clean throughout the week. Picking up roadside litter has now become an integral part of everyone’s life here and they no more treat the cleaning activity as a ‘task’. Bins and waste baskets are placed in every nook and corner of the village. And this kind of attitude coupled with bin access has helped the village become litter free, adds Ms Warjri. 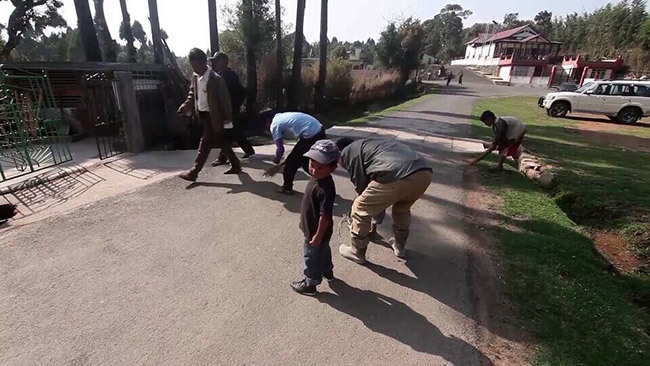 For its effective cleanliness drives conducted on every Saturday, the government of Meghalaya had recently given Umthli the ‘Clean and Green’ award. The village with a population of about 2,000 doesn’t require any municipal body to deal with its everyday waste. Around 192 households treat its kitchen waste or wet waste through the technique of composting. Every backyard in the village has a compost bin which turns the wet waste into manure every day. Thus, with every household practicing composting, the wet waste has not only reduced but altogether disappeared from the village. Previous Post: This Duo From Pune Deserves Appreciation for Turning Old Buses Into Clean Toilets for Women. Next Post: This Professor From Gujarat Has Built 6,000 Toilets In 34 Villages.